NEW YORK (AP) — Jimmie Allen has made history as the first black artist to have his debut single reach No. 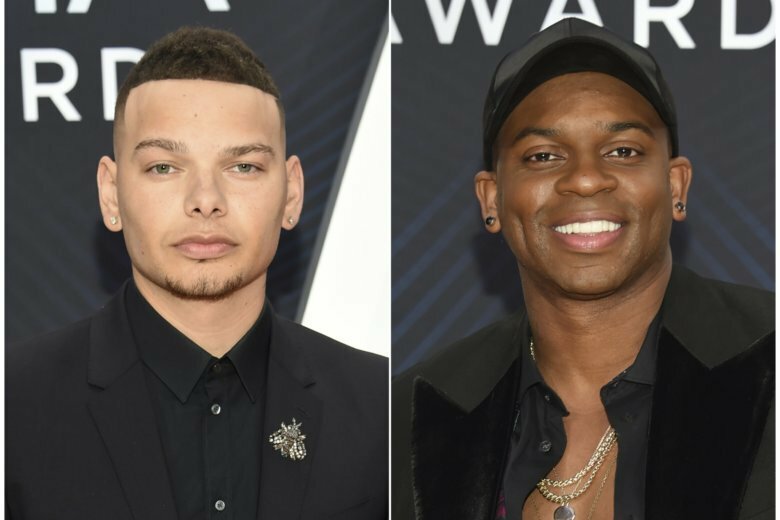 1 on country radio, and it happened on the same week Kane Brown, who is black and white, has the top country and pop album in the U.S.
Allen said he cried when he got the news his song, “Best Shot,” hit the top spot on Billboard’s country airplay chart, which tracks radio success. “First I screamed, like, ‘Thank, God. Finally! Finally, man.’ Then after that I’m filled with gratitude and motivated to work even harder,” Allen said in an interview with The Associated Press on Wednesday morning. Allen co-wrote “Best Shot” and it appears on his debut album, “Mercury Lane,” released last month. Brown’s sophomore album, “Experiment,” debuted at No. 1 on Billboard’s 200 albums and country albums charts, respectively, this week. The 32-year-old Allen — who moved from Delaware to Nashville at age 21 — said he’s happy to diversify contemporary country music while also paying tribute to other black artists in the genre, from Charley Pride to Darius Rucker. Pride and Brown have had No. 1 country radio hits, but not with their debut songs. Rucker’s first country single did hit the No. 1 spot, but his official debut song was with Hootie & the Blowfish, thus making Allen’s recent feat historic. “It feels great to be a part of something that I feel is bigger than me,” said Allen, who will open for Brown on tour next year.